Are you a webmaster who are running more than two or more blogs in wordpress? And want to manage all those wordpress site in one place? If you want to control you wordpress blogs/sites in one place then now it is possible with MangeWP site. Manage WP allows users to add more than two wordpress blog to Manage WP account and after adding those, we can easily control all the added wordpress blog in one place. Manage WP is an new and innovative concept to “Manage Multiple WordPress Blogs” in a single place by prelovac who runs a popular wordpress related blog. This is not a wp plug-in to manage multiple wp blog, but it’s a free online service. Also Read: Is your free or premium theme providing 268 theme options? If you running more than two wordpress powered blog, than can easily add your blog to manage wp site. By doing so, you can control all your wordpress blog (which you have added to managewp) in a single place that is in managewp dashboard. 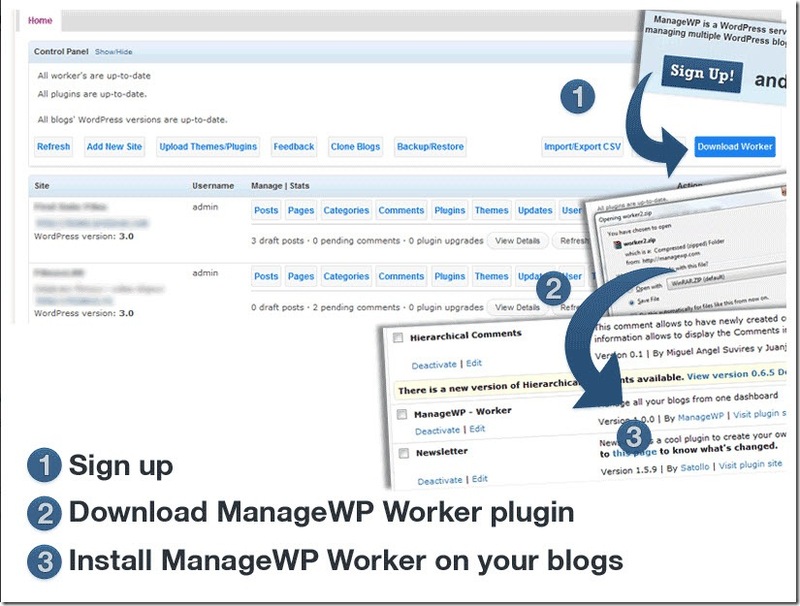 You are able to manage posts and pages, install new plugins, themes, manage comments and much more features are available in managewp. I personally don’t recommend this type of service, because there may be a security loop hole in it. It is better to control our wp blog with our control itself instead of sharing user name and password. I’m writing this post to inform users who are looking manage their wp site in single place. If you run a large number of Wp powered small sites, then you can use this type of service. Anyway visit Manage WP site to know more about it.